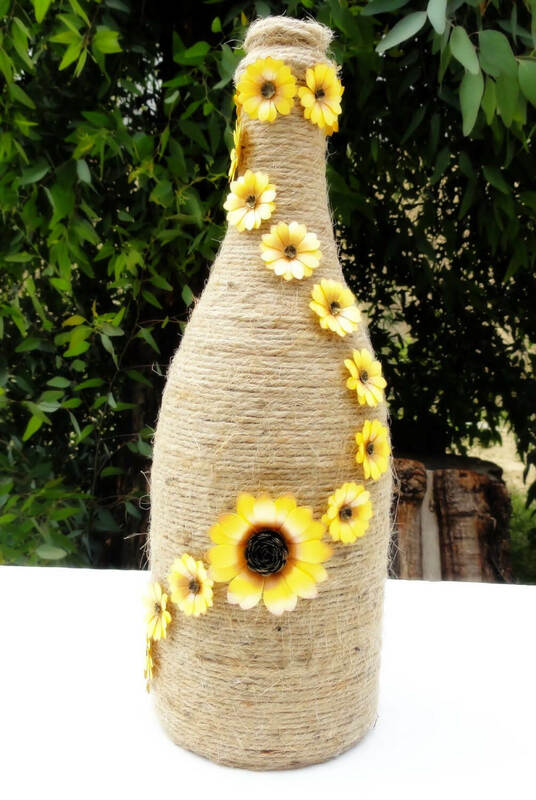 An empty, old container or a glass bottle can be accented with jute to get a classy look. 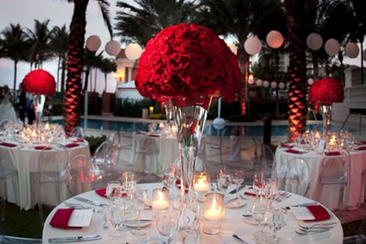 What distinguishes a rustic wedding theme from others is its natural approach in decoration. 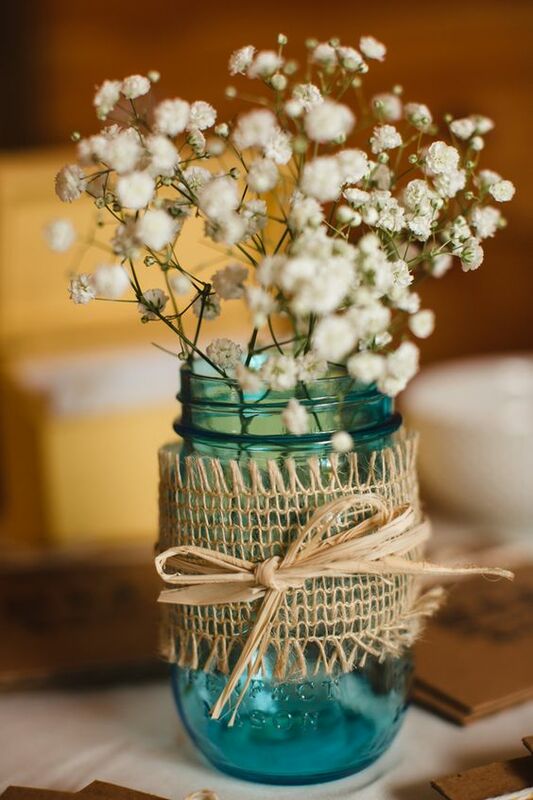 Simply natural yet rustic elements like wood, burlap, lace, mason jars, straws, jute, lantern are just a few accessories that can be used to create fascinating rustic wedding centerpieces. 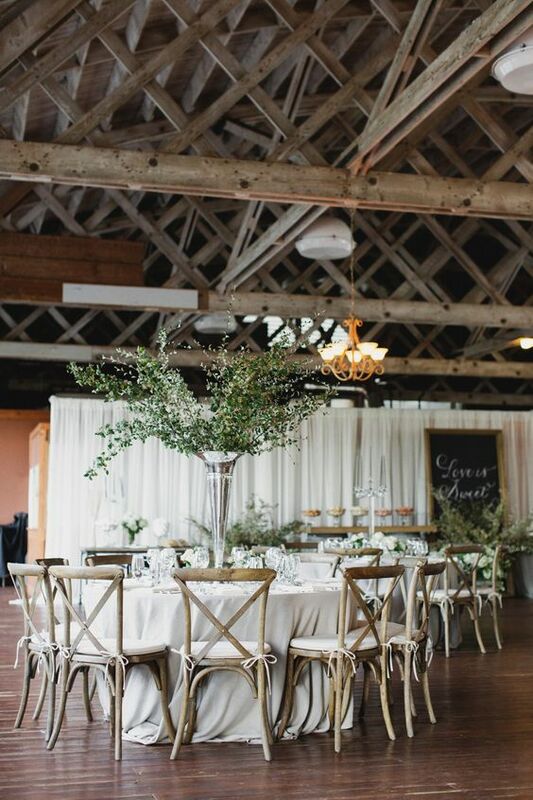 Check out some of the best and creative centerpieces ideas for rustic themed wedding. 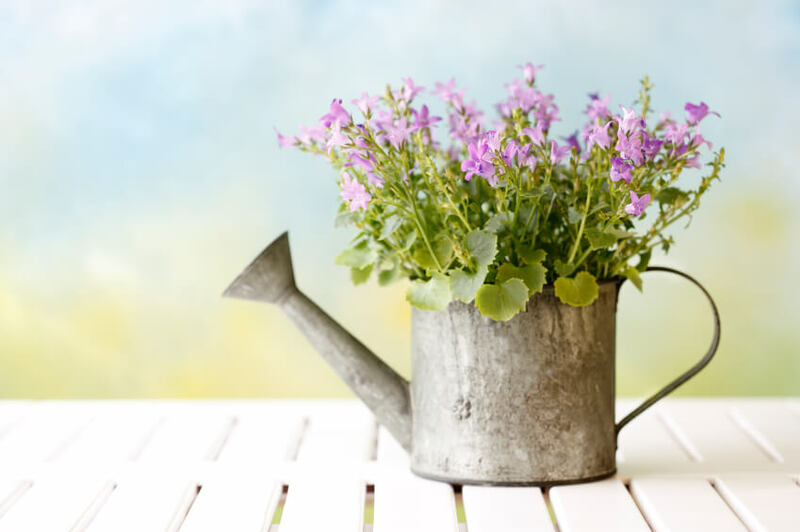 Look around and find the useless items like pails, watering cans and teapots. 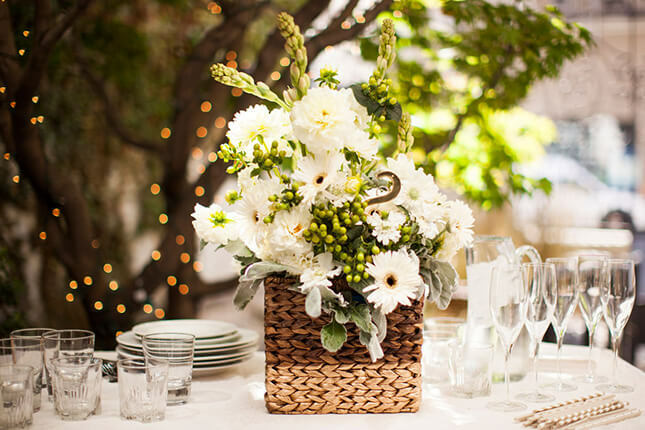 Fill it with fresh flowers that match your theme and lush green foliage as accents. Grapevines can be molded into various elegant shapes and styles like nests, vases, and wreath style vases. 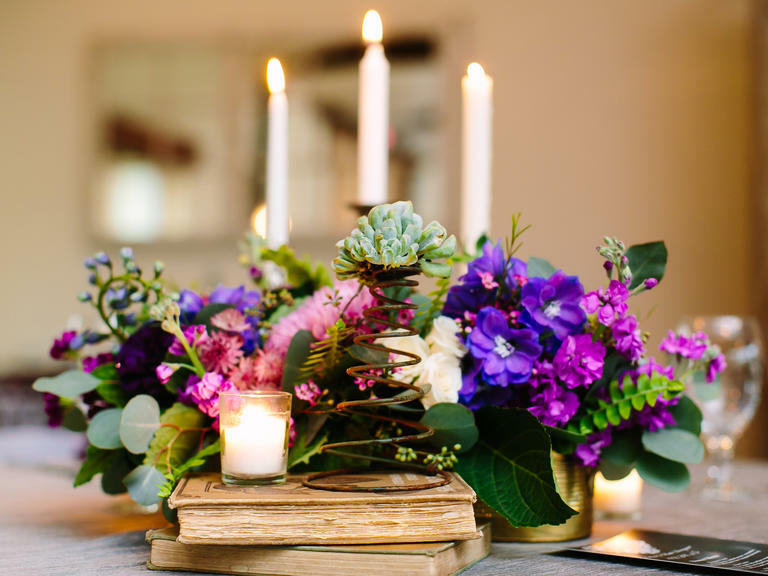 Accents like candle, flowers and foliage are best. Old wooden boxes are easily available and also quite affordable. 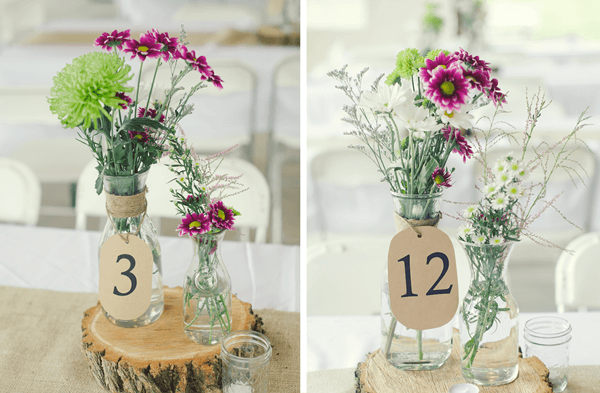 For a rustic themed wedding it could be perfect with artistically arranged flowers. Skillfully wrapped tall branches accented with fresh flowers is uniquely affordable. 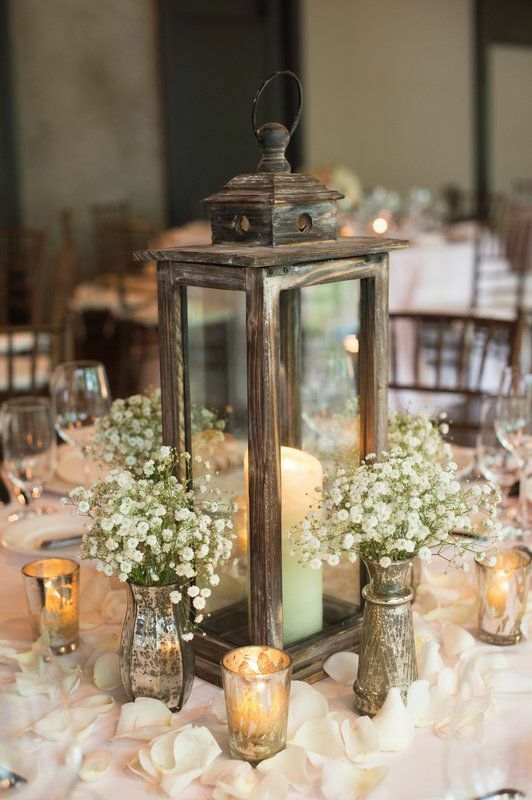 Hanging candles would add romantic ambiance to this rustic wedding centerpiece. This one combination is never outdated. 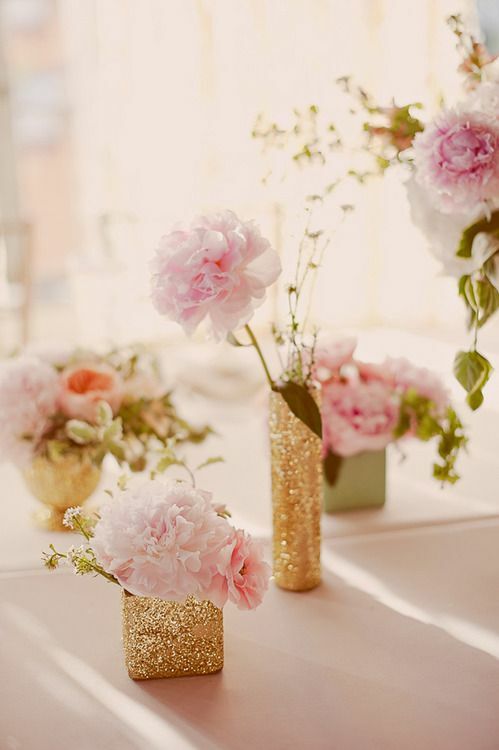 Gorgeous rustic centerpieces can be made using pink flowers with variant styles of gold vases. Woven baskets are typically rustic. 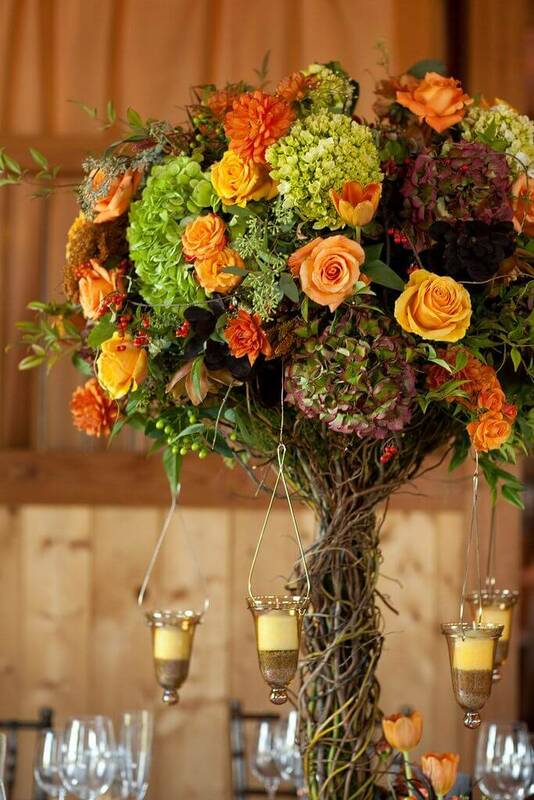 Adding nice combination of seasonal and wild flowers with other green accents look attractive. 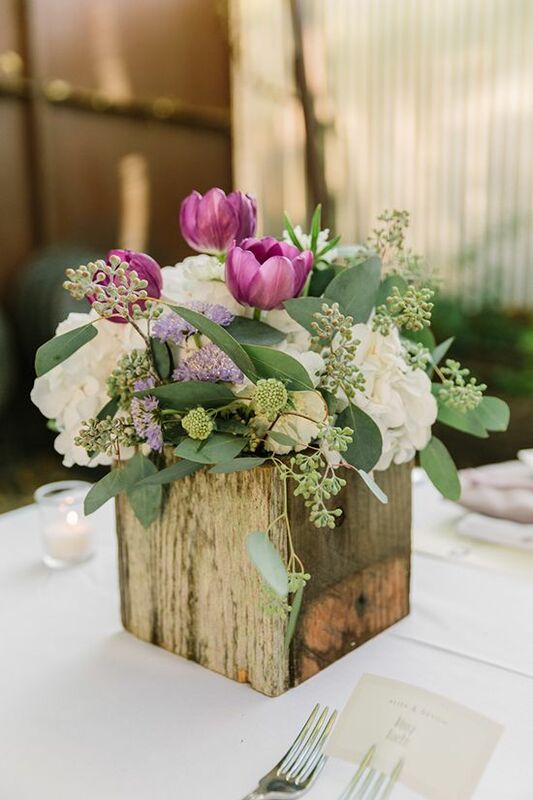 This one of rustic wedding centerpieces is just stunning! 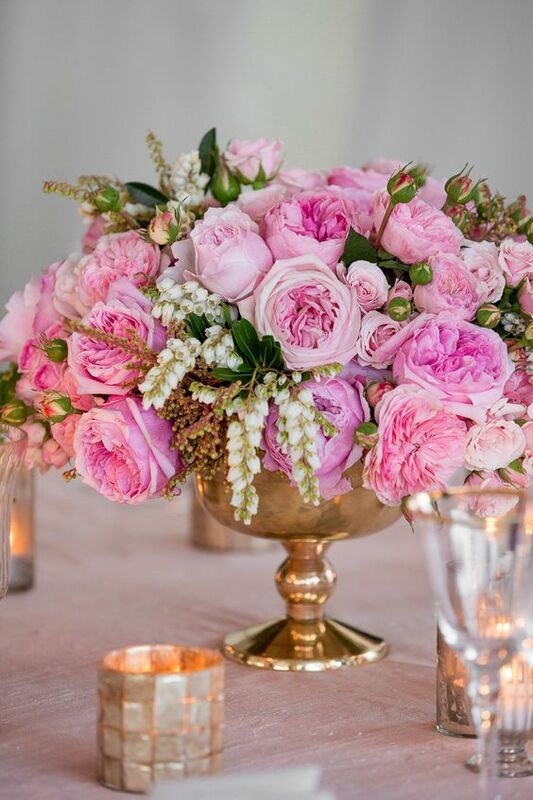 A gold metal vase is best combined with fresh seasonal and wild flowers. 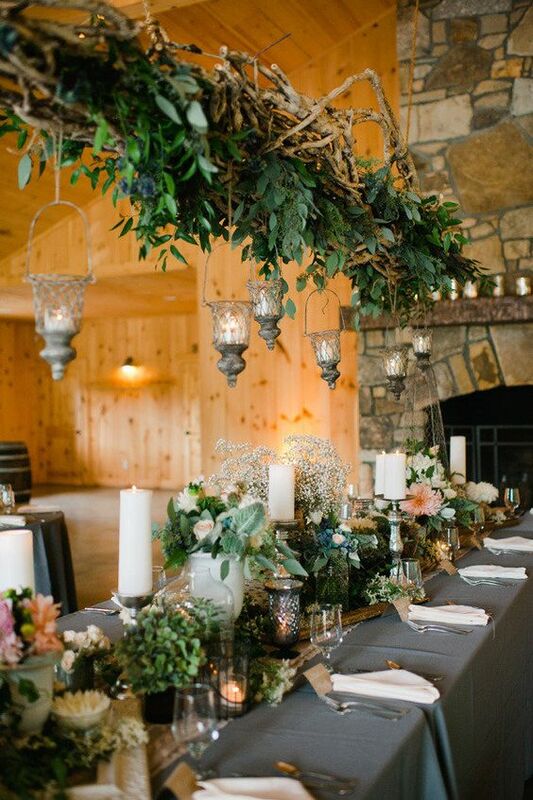 Foliage and grasses elevate the rustic sensation. 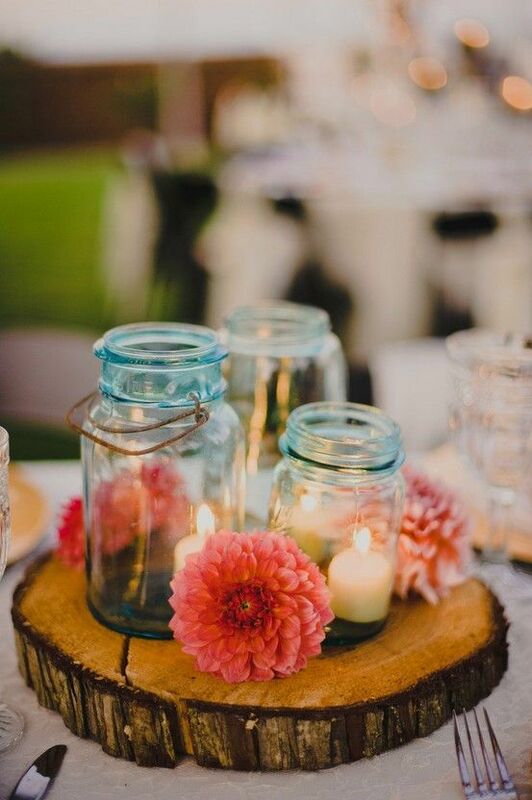 Talking of rustic accessories, mason jars and wooden slices are purely one of them. Commonly used solely, but using them together accentuate each other well. 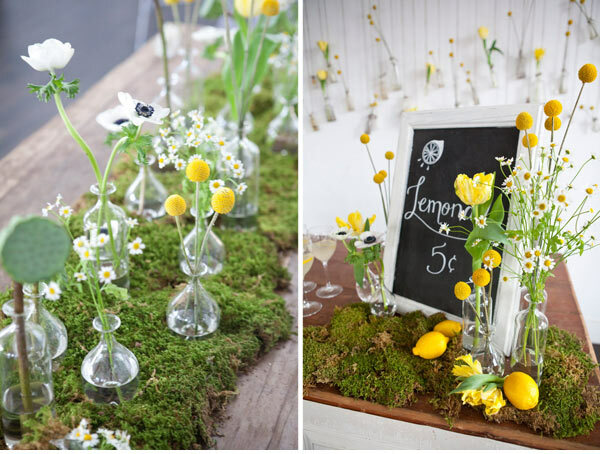 Use moss as a base to vases, mason jars, bottles with candles and flowers in it. Or you can cover the whole table with a sheet moss. 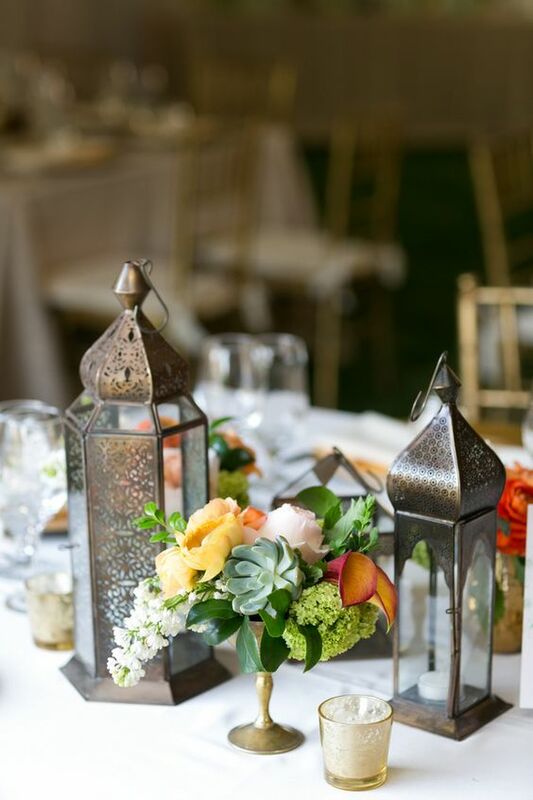 There are many elegant ways to use antique and Morrocon styled lantern as centerpieces. 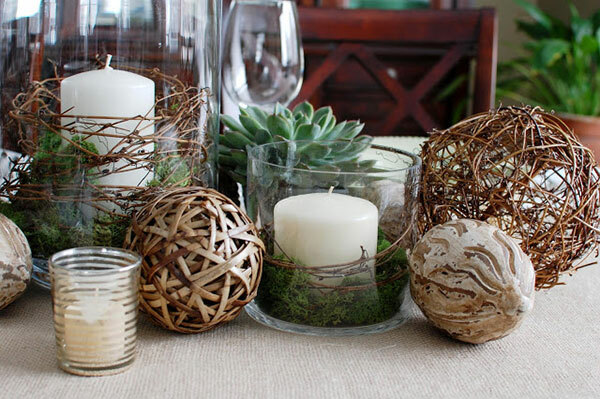 Accents like flowers, foliage, mason jars and wood, candles can be used. 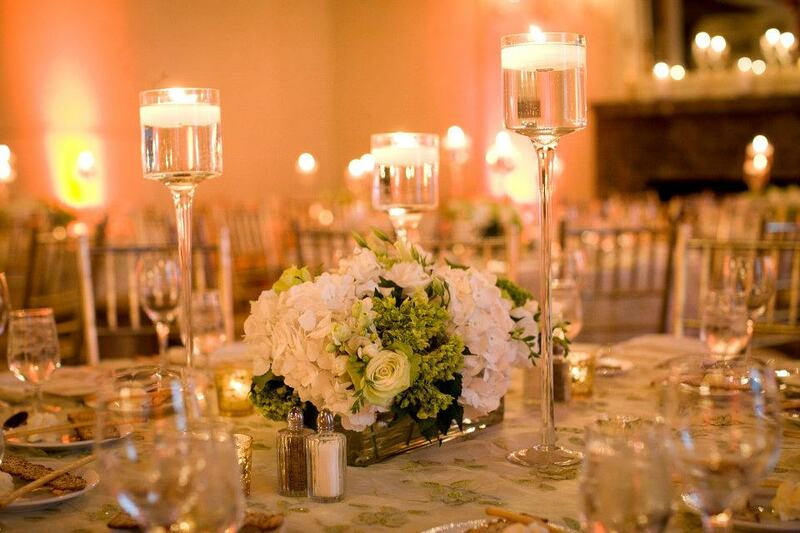 Candles are always trendy with rustic wedding centerpieces. 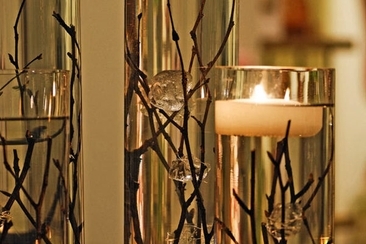 But in a crystalline candle stand, table décor would be exceptional. Addition of flowers is a plus. 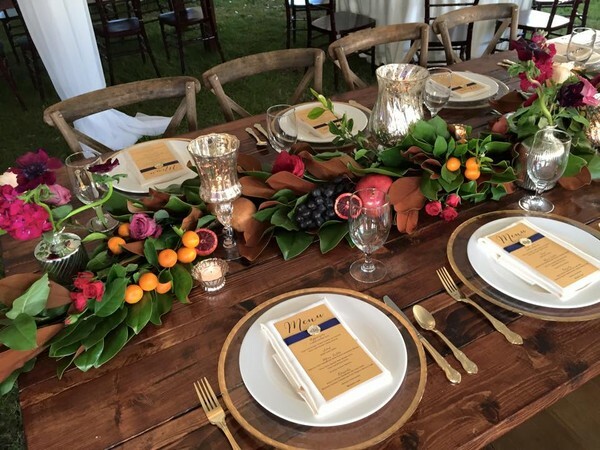 This rustic centerpiece idea is best match for long rectangle tables. Make garlands of fruits and magnolia leaves. To elevate it, go for the addition of flowers or candles. Any container would look perfect with dried ammobium. It could be a mason jar or a wooden slice. 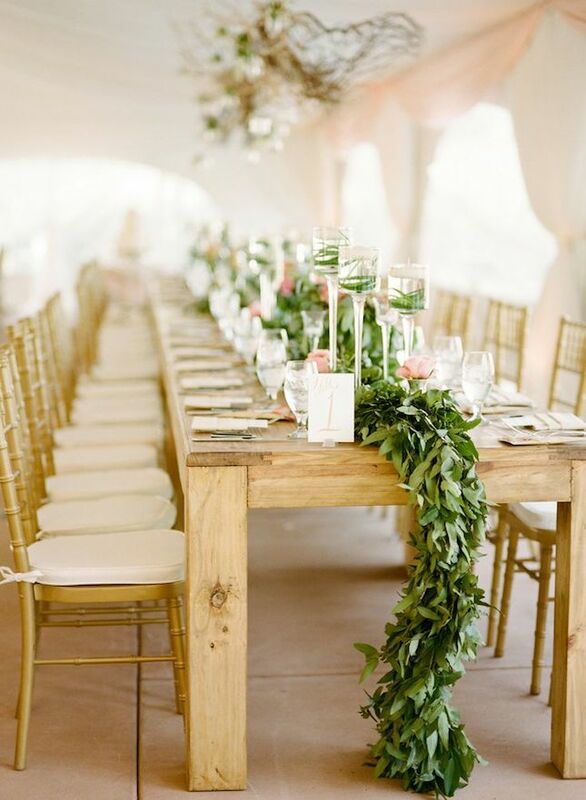 Rustic wedding centerpieces can also be made by using more lush green foliage and fewer flowers or any other accents. 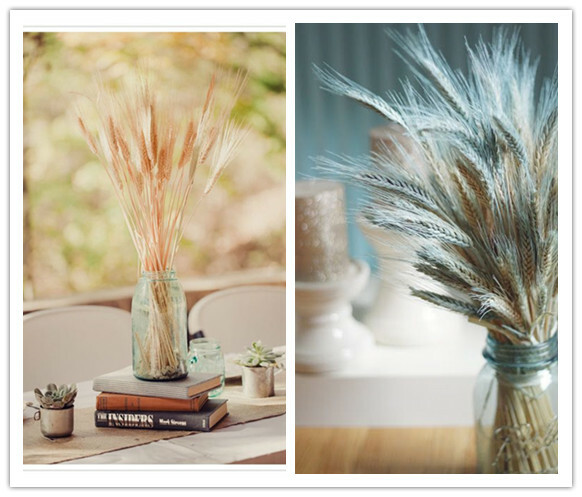 Accenting a mason jar with wheat gives a pure rustic appeal to eyes. It would be more appealing with blue Jars. 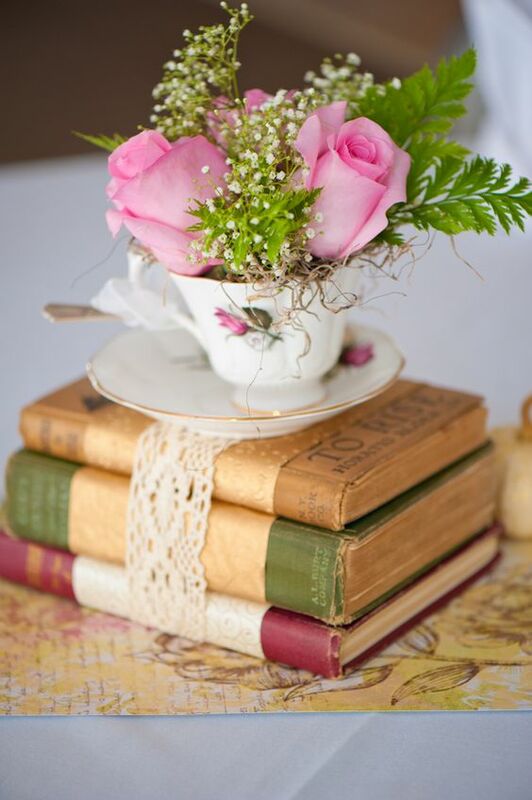 Recycle the old and antique books by using them as a centerpiece. A simple flower arrangement with books is yet another unique concept. 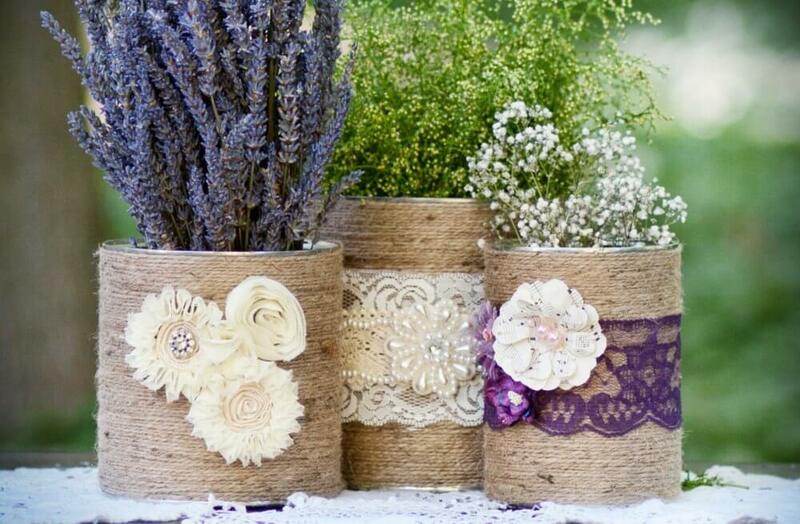 Use mason jars covered with delicate lace. 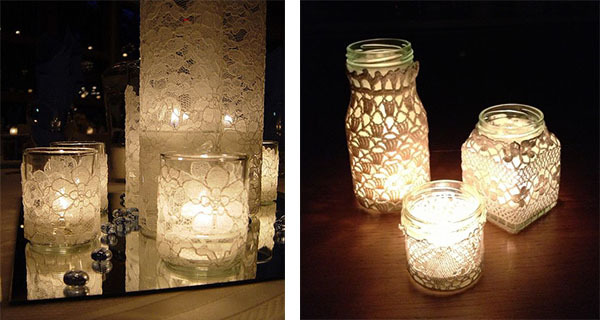 Add a romantic ambiance by placing candles inside. 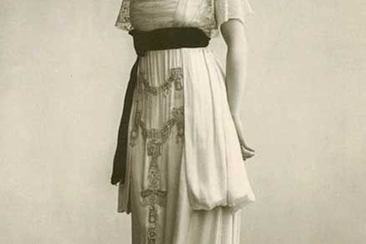 This would definitely give a mesmerizing feel in evening event. 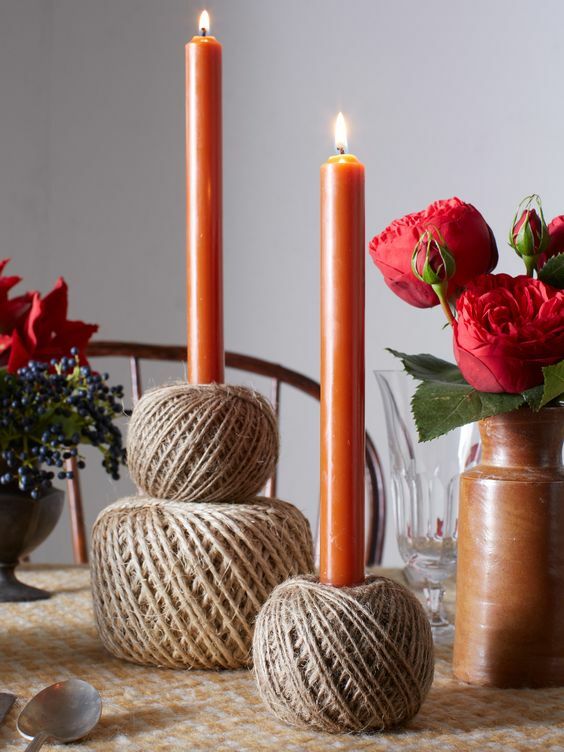 Wrap the balls of twines with any woven thread can make a nice container for flowers as well as candles. 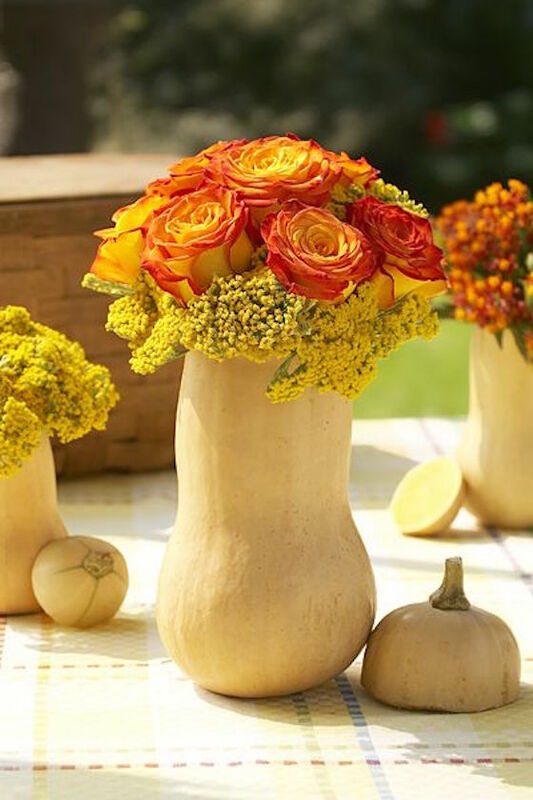 Hollow up a butternut squash and fill it up with your favorite flowers and foliage. 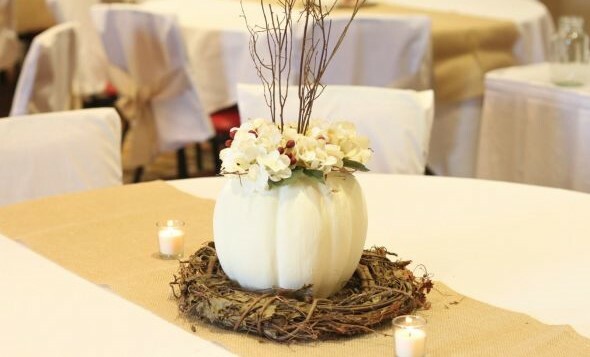 An amazingly easy centerpiece idea for sure. 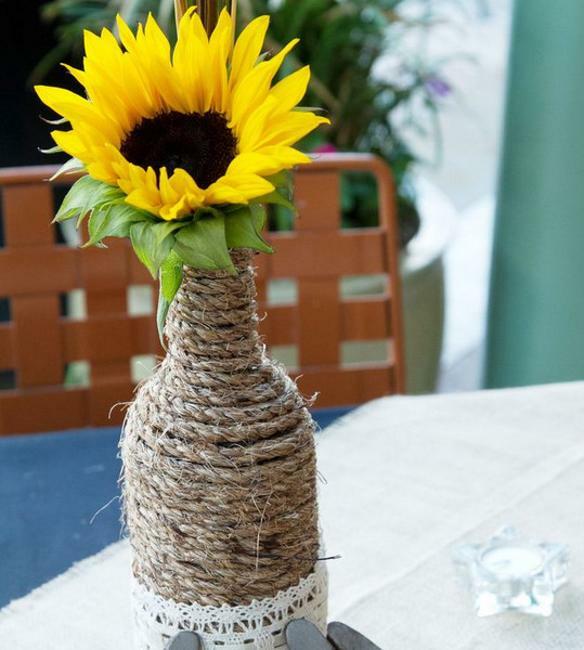 Check out these appealing and cost effective DIY rustic wedding centerpieces ideas for simplicity and creativity at a time. 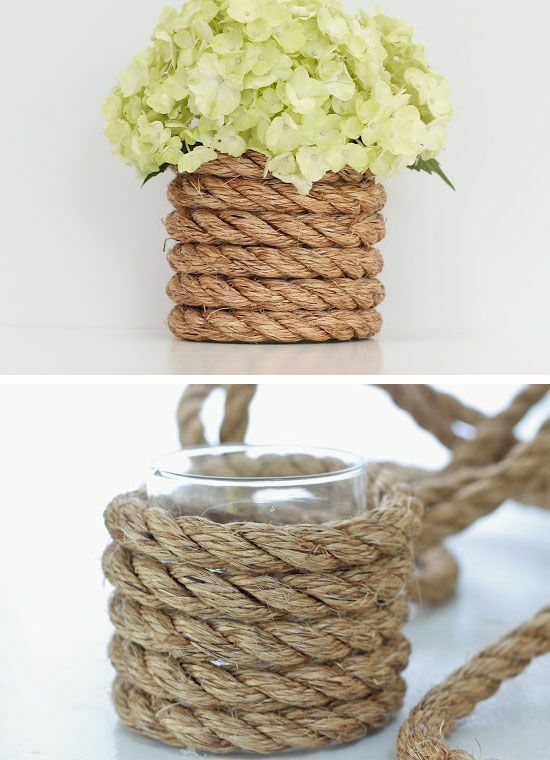 A simple jar can be wrapped skillfully with a nautical rope. 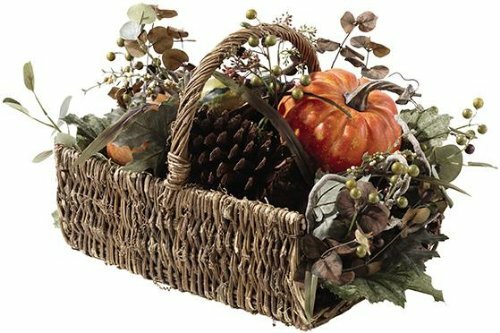 Fill it with any wild or seasonal flowers. It looks great. 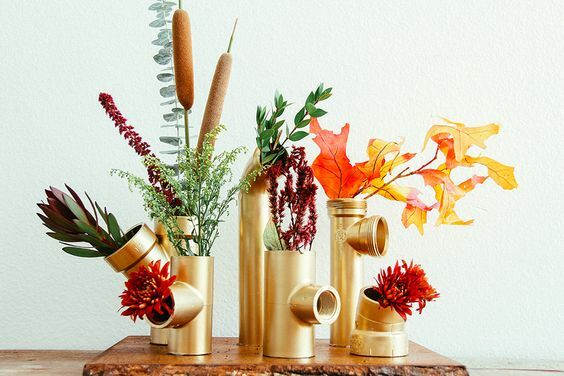 Colored Sprayed pipes can make best centerpieces. 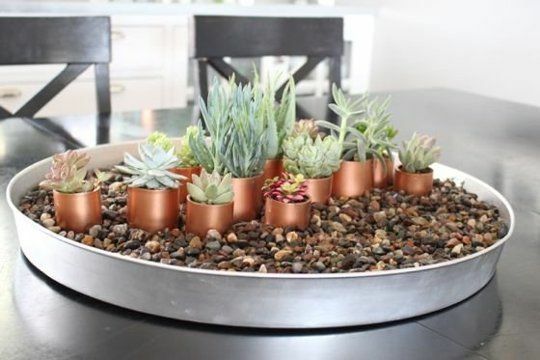 Decorate them with freshly hued flowers or succulents. 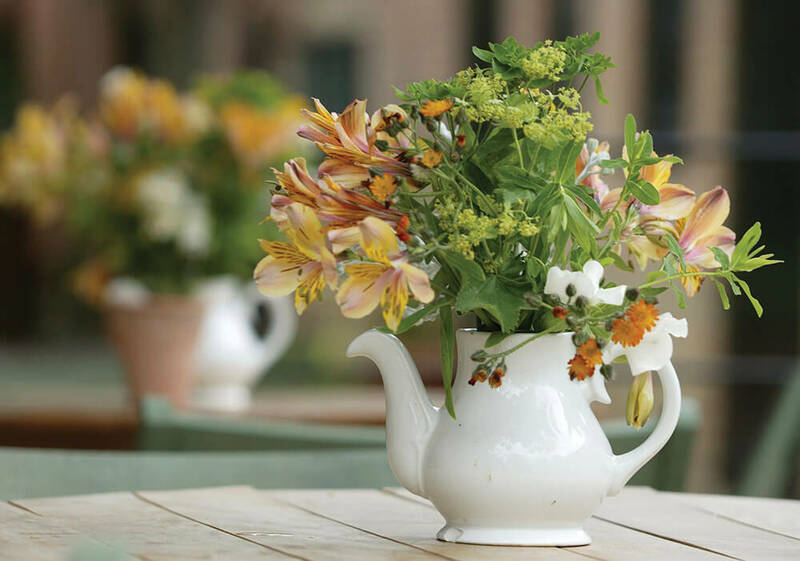 This centerpiece can easily be made by yourself. 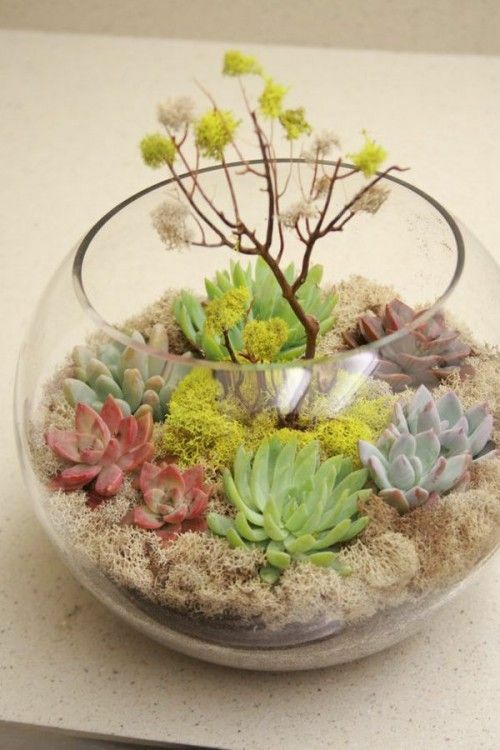 Add sand, dust, rock and top it with colored succulents. 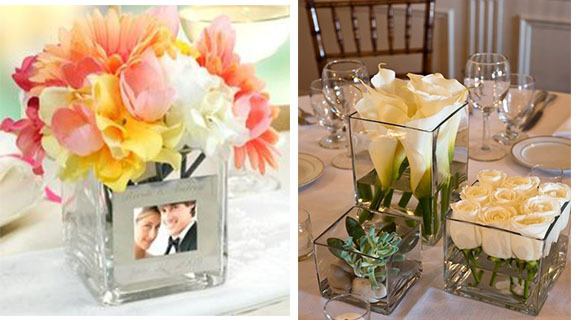 Square jars of glass in variant sizes can be decorated side by side, cut short flowers for short container and tall-stem flowers for the tall ones. 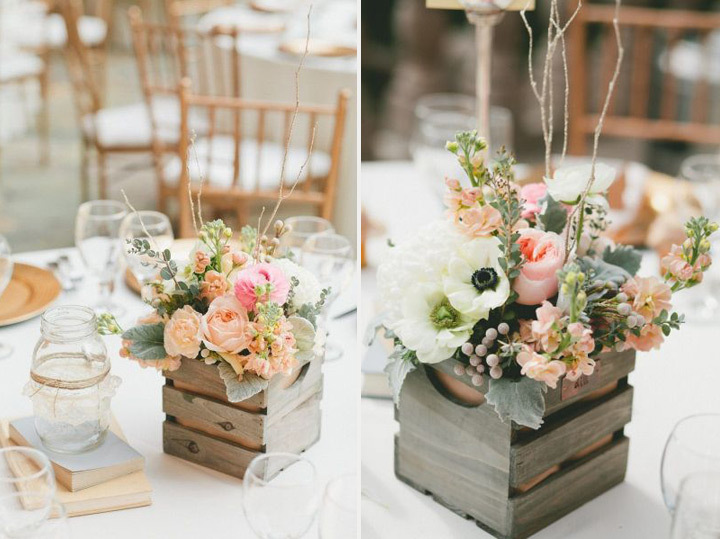 These rustic wedding centerpieces can also add succulents. 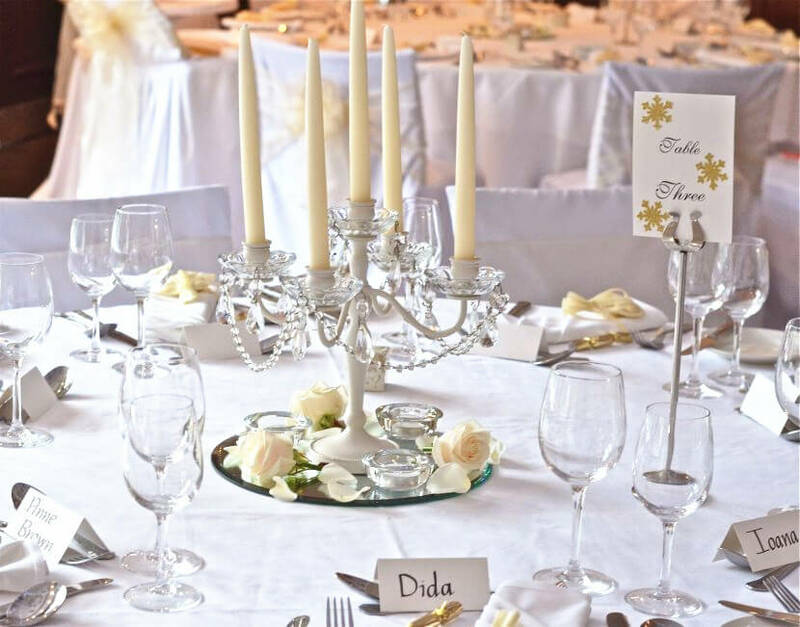 Are you a modern bride looking for fresh, unique and fun table décor? 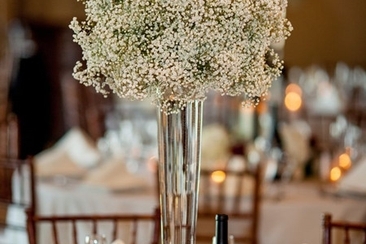 Here are 25 of our favorite wedding centerpieces without flowers to inspire you. Read on! 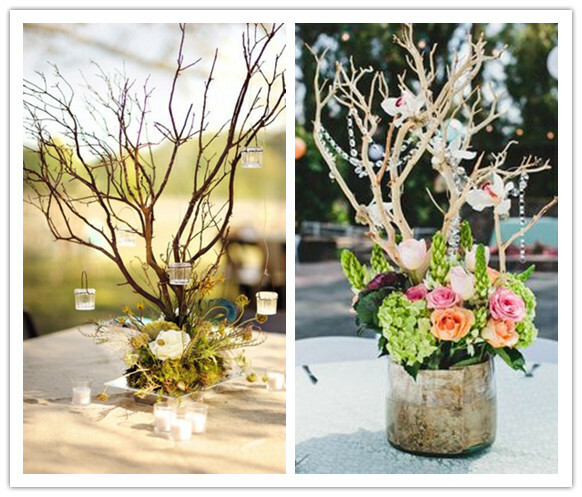 Consider ideas of centerpieces for bridal showers? 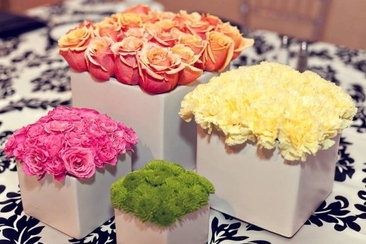 Why not get more creative ones instead of just flower arrangement? 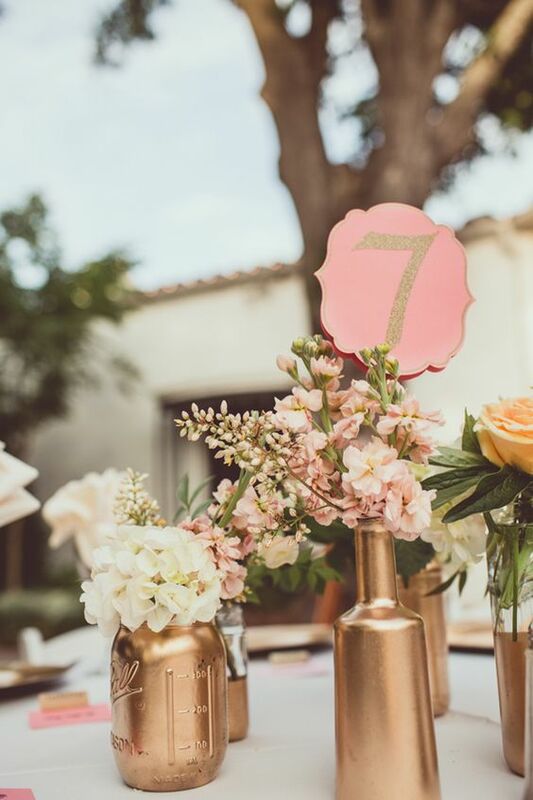 Find a number of fun and unique centerpiece ideas here! 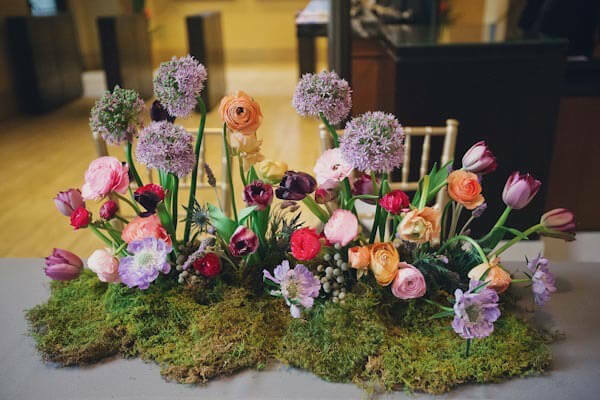 Is a unique, colorful vintage wedding theme on your radar? 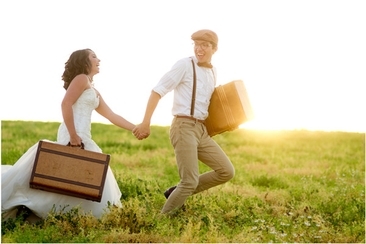 Choose your favorite decade and use it as inspiration for one wedding day that will definitely go down in history!